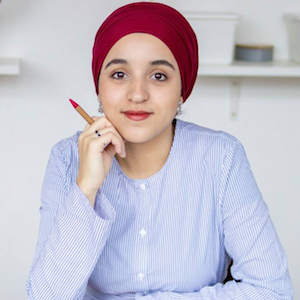 Yasmien Naciri (1991) is a Belgian entrepreneur, marketeer and writer and columnist of Moroccan origin. She is a columnist for Belgian daily de Morgen and for Radio 1. Yasmien studied business management and bilingual professional communications. She is the author of the book Wij nemen het heft in handen (Taking matters into our own hands, 2018), a book about our changing, diverse society. After a complaint by Naciri, for the first time in Belgium an anonymous twitter troll was convicted this year. Naciri founded aid organisation Amana vzw, which is active in Belgium and Morocco, and Fleks, an Antwerp-based bureau that stimulates young people in starting their own business. What should we do about online hate speech?